Colombian Air Force Brig. Gen. Sergio Andrés Garzón Vélez, Combined Forces Air Component Commander for PANAMAX 16, and his aid Lt. Col. Ricardo, receive an update during a commander’s update briefing at Davis-Monthan AFB, Ariz., July 31, 2016. PANAMAX is an annual exercise sponsored by U.S. Southern Command that increases the ability of nations to work together, enable assembled forces to organize as a multinational task force and test their responsiveness in combined operations. 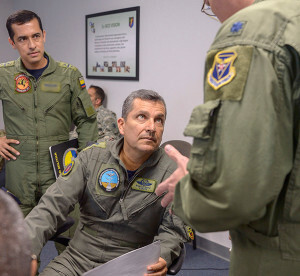 DAVIS-MONTHAN AIR FORCE BASE, Ariz.–For the first time, a Colombian general led the simulated air war during U.S. Southern Command’s annual PANAMAX exercise July 29 through Aug. 4 at Davis-Monthan Air Force Base, Ariz.
Colombian air force Brig. Gen. Sergio Andrés Garzón Vélez acted as the Combined Forces Air Component Commander for the fictitious Multi-National Forces-South during USSOUTHCOM’s largest annual exercise. The scenario of PANAMAX involves a multi-national force involving 19 nations ranging from Canada to Chile to support the fictitious country of “New Centralia” against a guerilla force, which not only threatens that nation’s security but also the security of the Panama Canal. “If we respond to something around the world in our area of cooperation, if we have partner nations who are able to command and control, it really enables our operation to go further,” said Lt. Gen. Chris Nowland, 12th Air Force (AFSOUTH) commander. 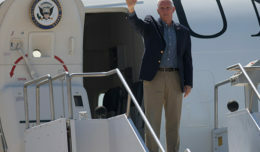 The role of the CFACC is to act as a subordinate commander to the multi-national forces commander, providing airpower into the theater of operations, according to Brig. Gen. Donald Lindberg, Mobilization Assistant to the 12th Air Force (AFSOUTH) Commander. He was paired with Garzón not only during PANAMAX, but also during Exercise KEY RESOLVE in the Republic of Korea earlier this year. While the air component operates from Davis-Monthan, other components operated from multiple locations around the U.S. as well as in Santiago, Chile. 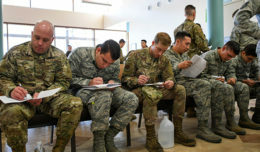 Working with partner nations during exercises such as PANAMAX provides connective tissue between different countries, which streamlines processes for the future if there is ever a mission where a coalition may be involved. 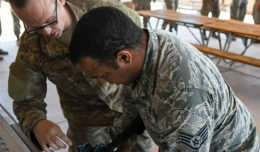 More than 35 partner air force officers from about a dozen Western Hemisphere countries participated in the air portion in the exercise, and helped solidify the relationships and bonds which the Airmen of AFSOUTH strive to maintain throughout the year.